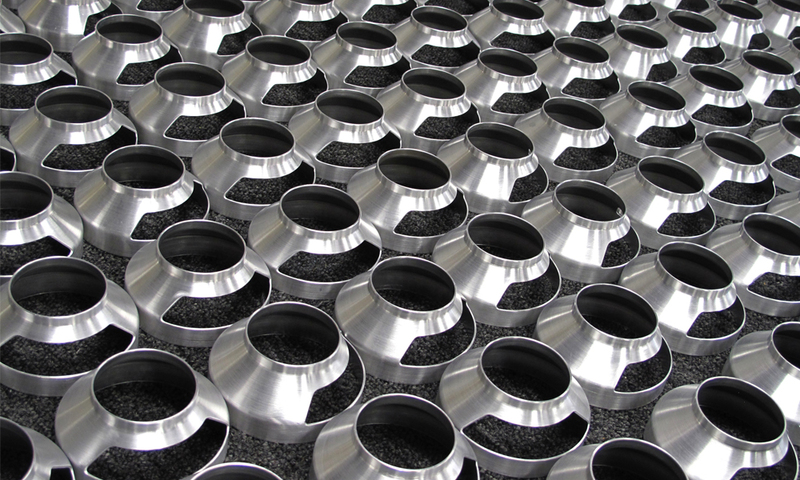 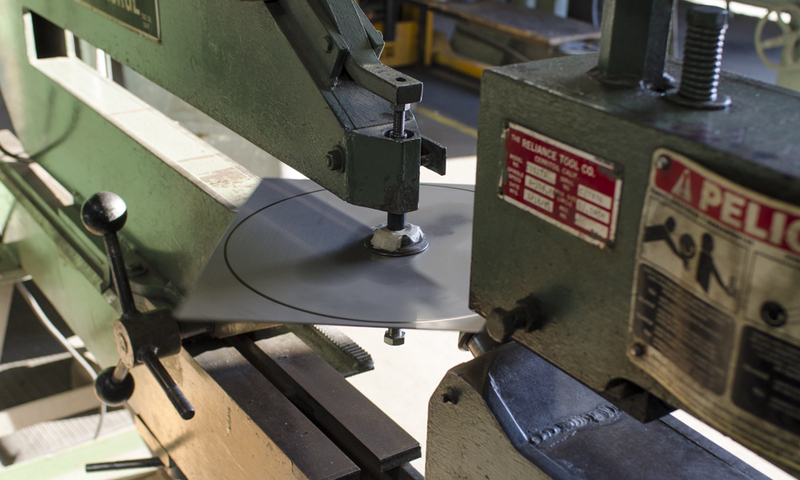 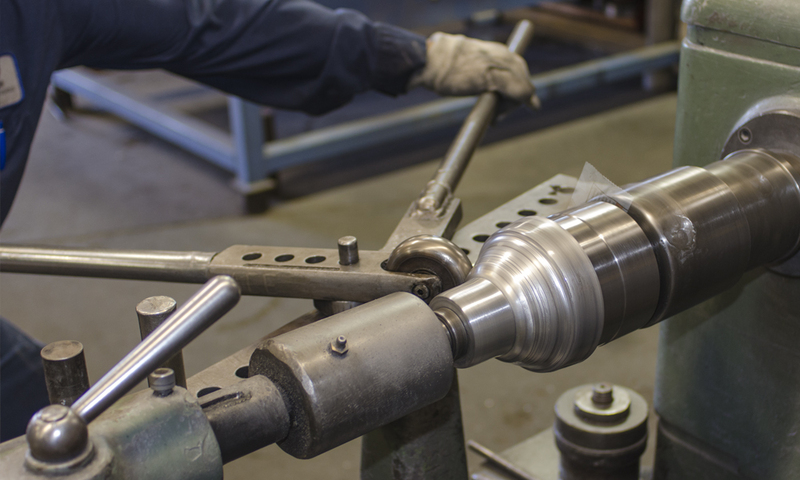 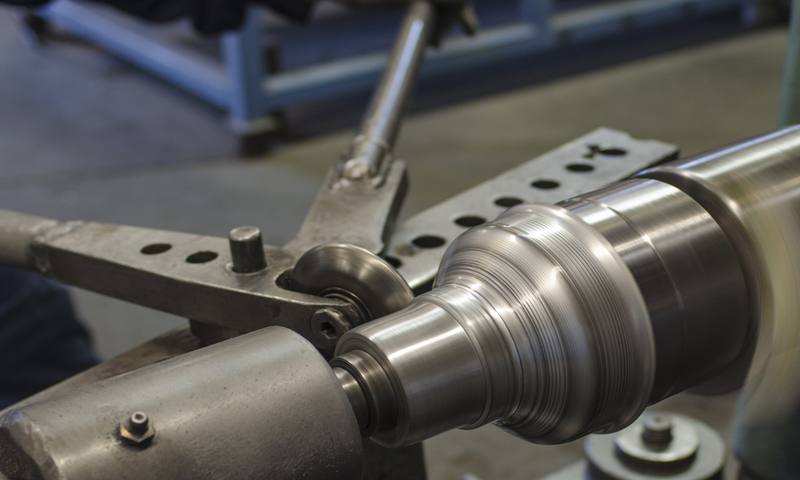 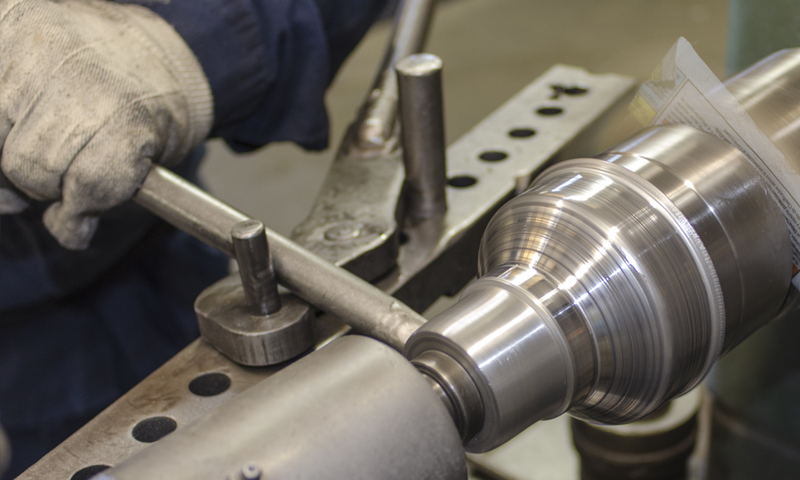 Spinning (also known as spin forming or metal turning) is a metalworking process by which a disc or tube of metal is rotated at high speed and formed into a symmetrical shape. 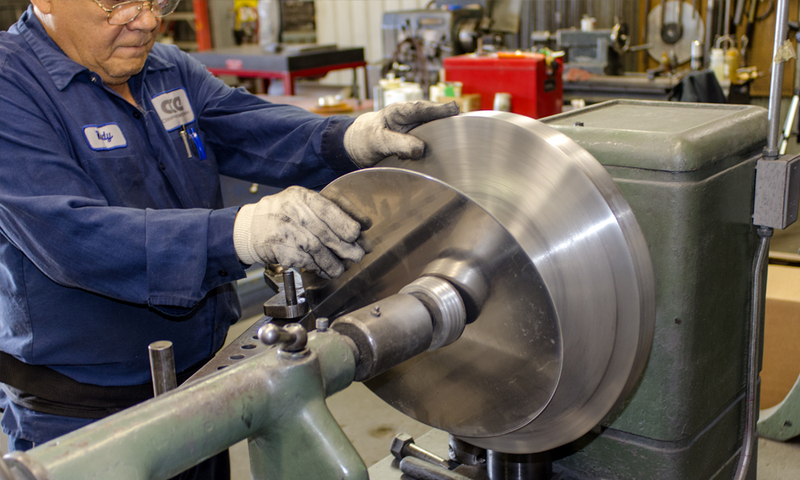 At ACE, spinning is performed by hand. 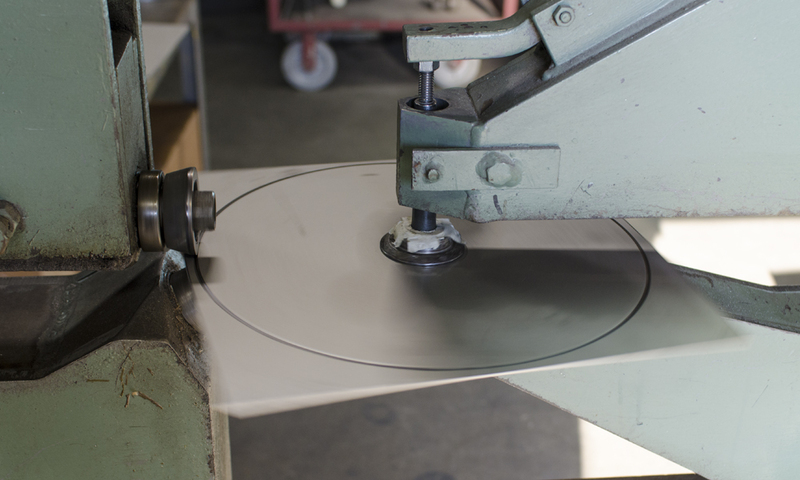 Spinning does not involve removal of material but forming a sheet material over an existing shape. 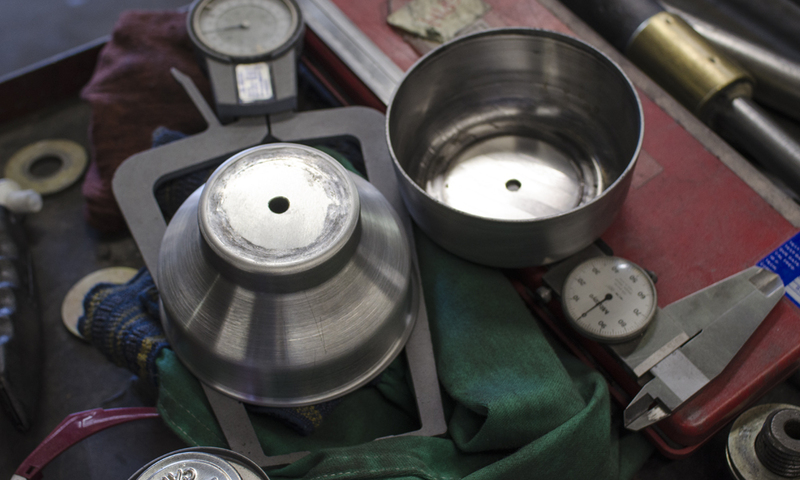 The process is fairly simple. 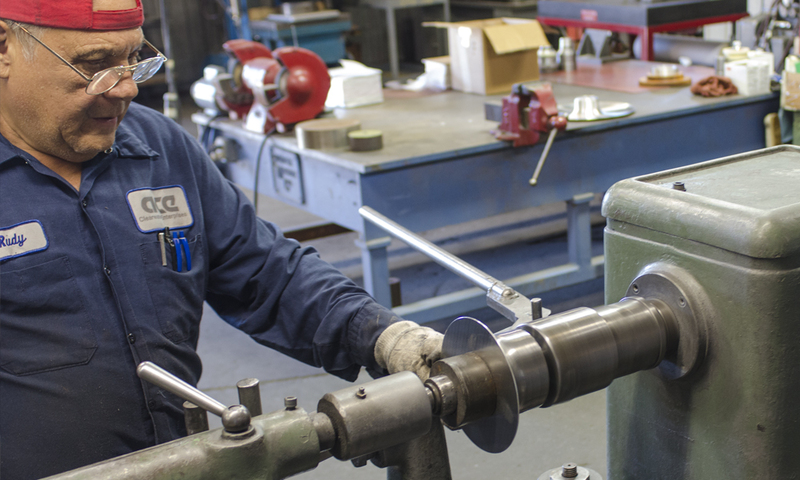 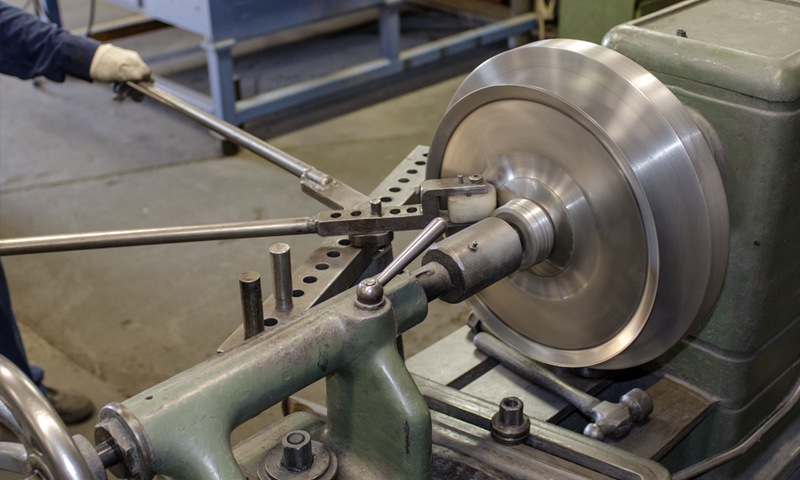 A formed block (tailstock) is mounted onto the drive section of a lathe. 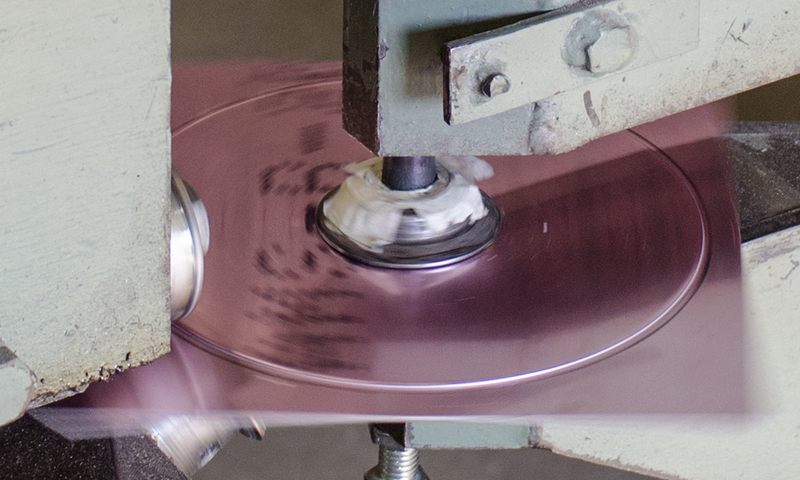 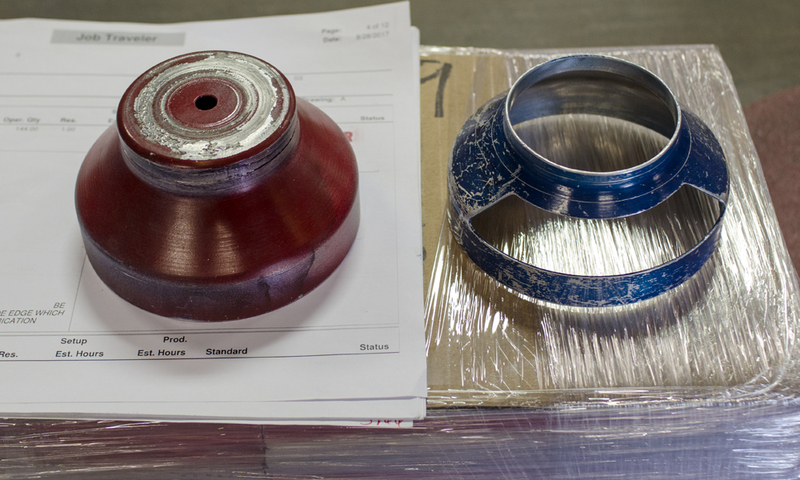 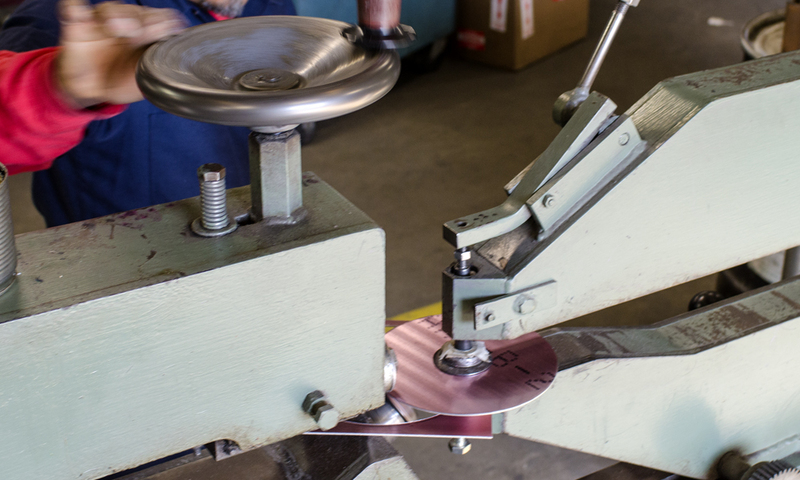 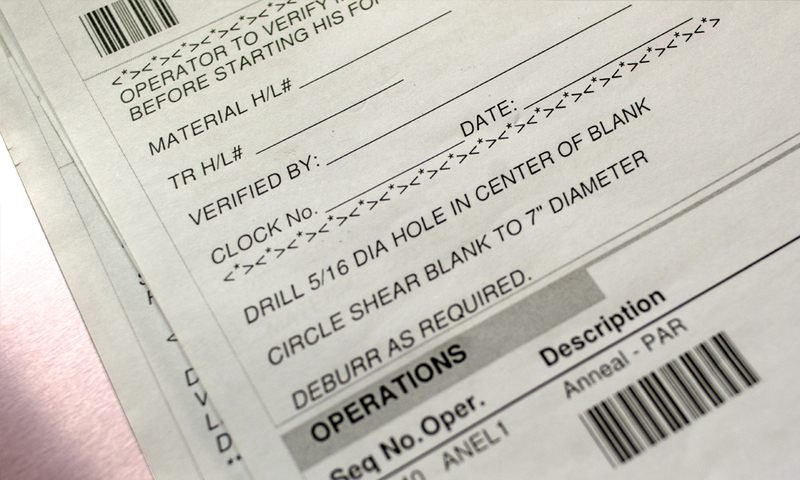 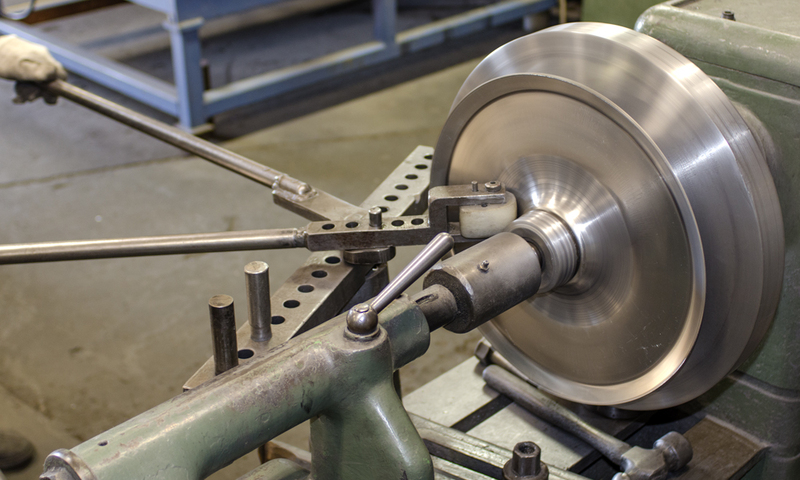 A pre-trimmed metal disk is then clamped against the block by a pressure pad, which is attached to the tailstock. 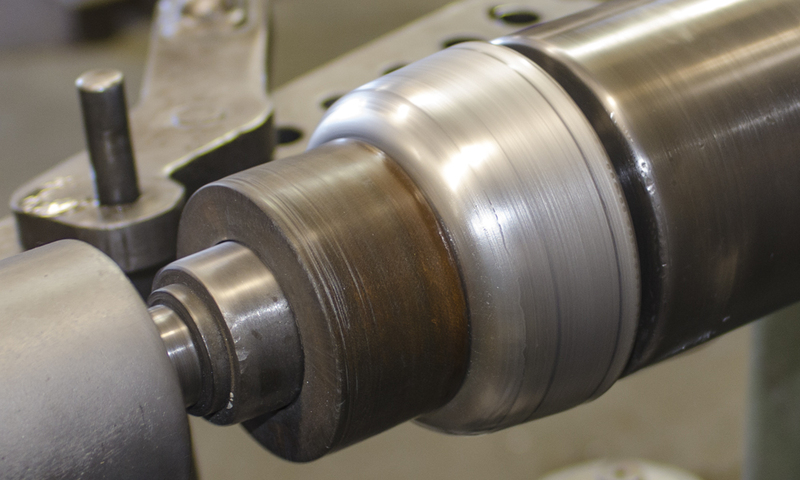 The block and workpiece are then rotated together at very high speeds. 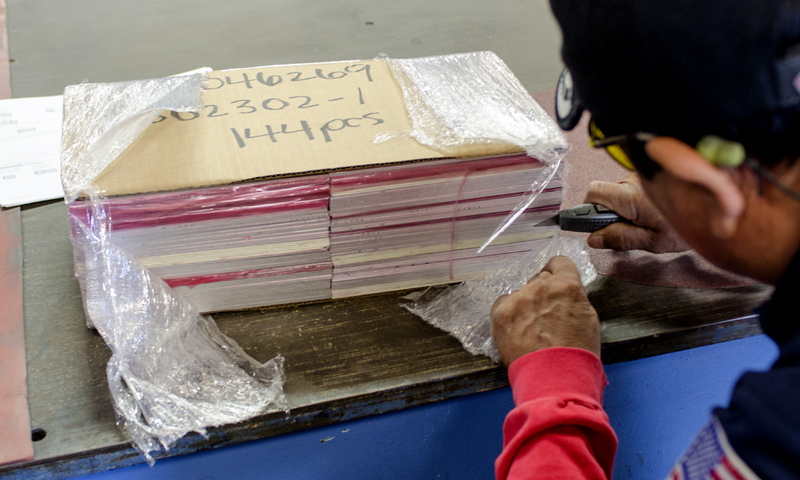 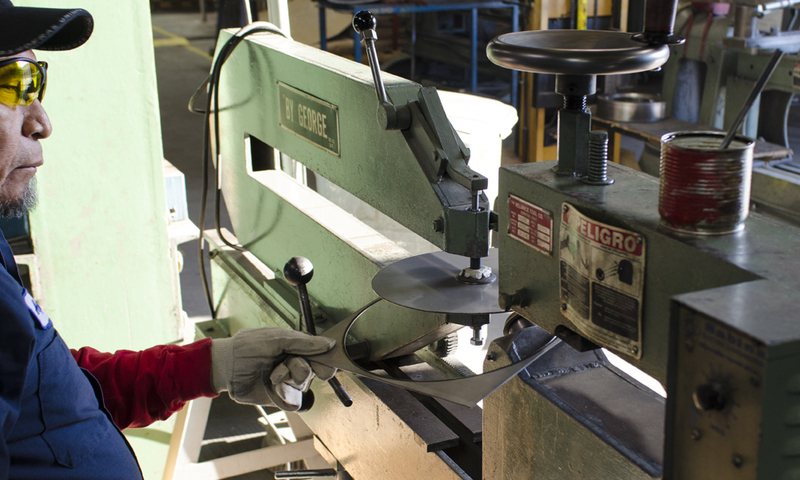 Force is applied to the workpiece to cause it to flow over the block’s shape. 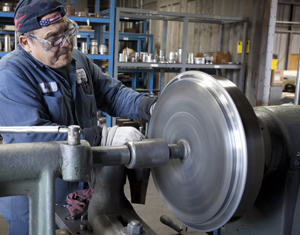 The force is usually applied via various levered tools. 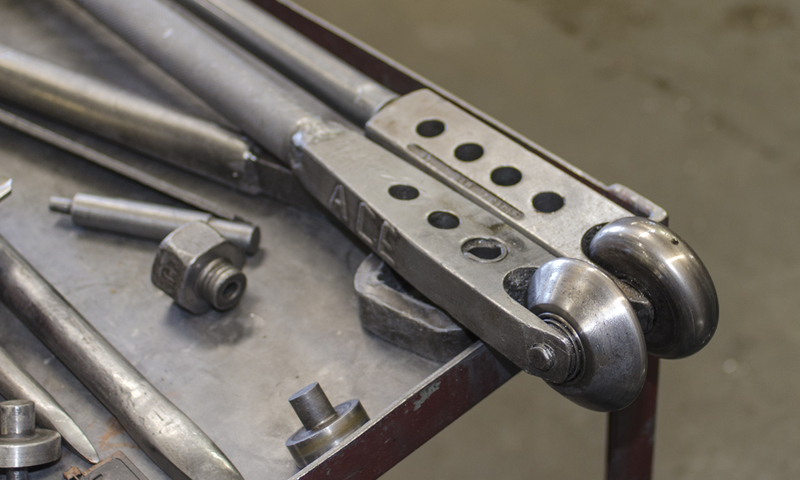 The basic hand tool is called a spoon, though many other tools can be used for the desired results. 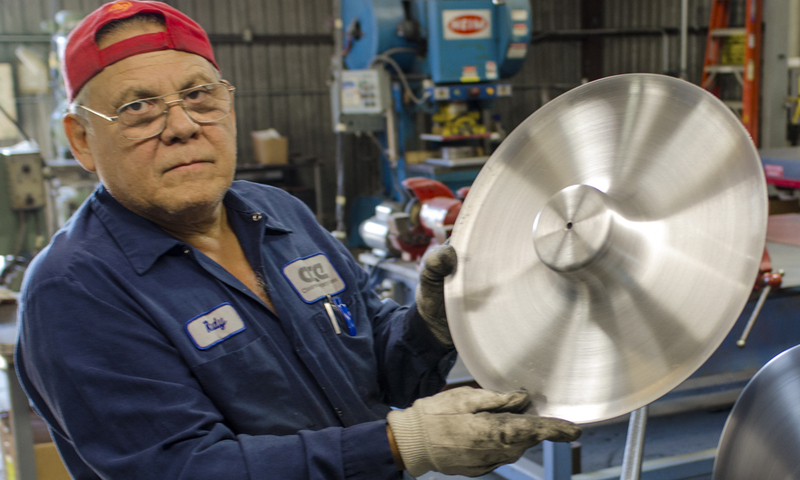 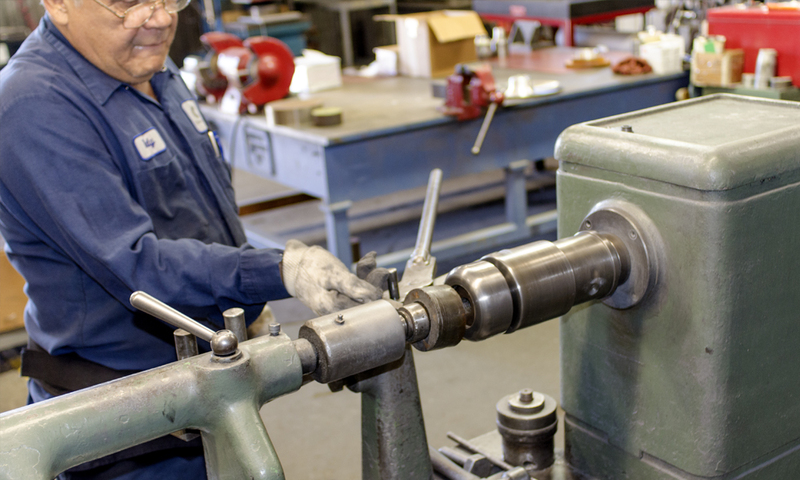 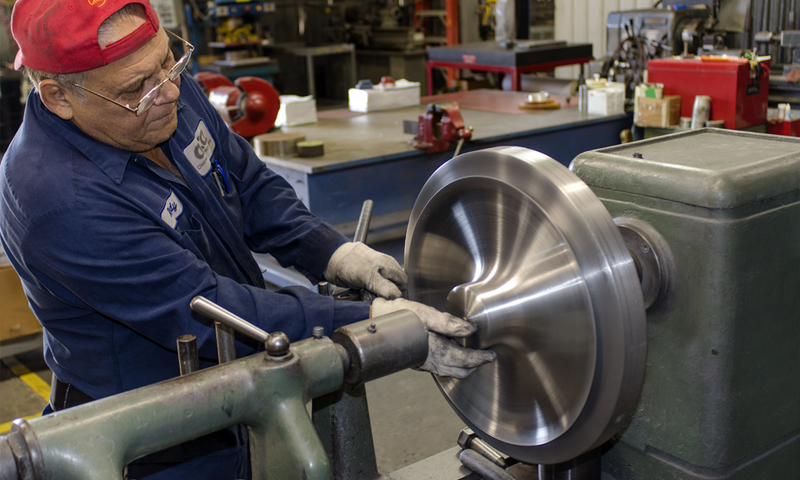 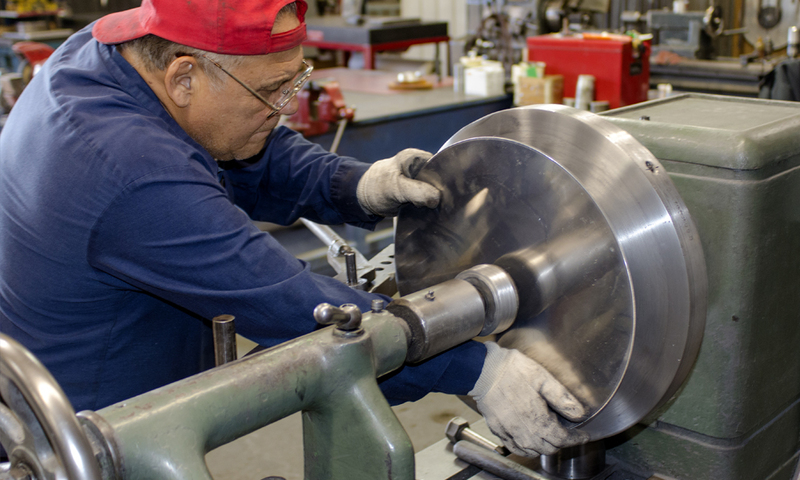 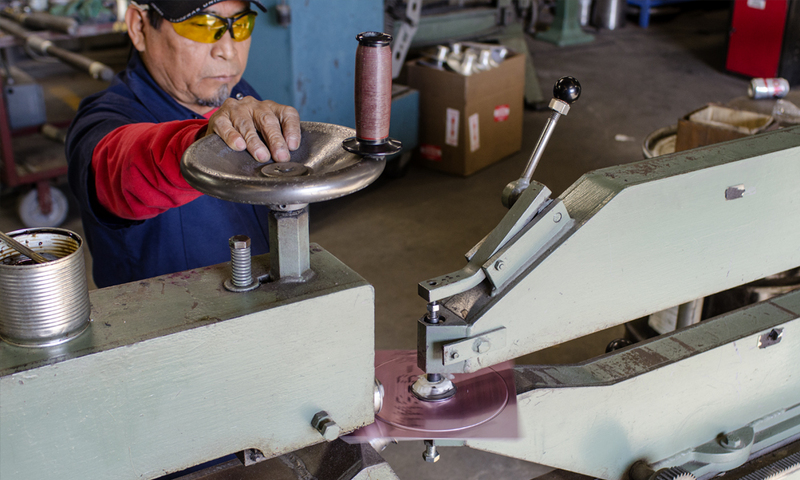 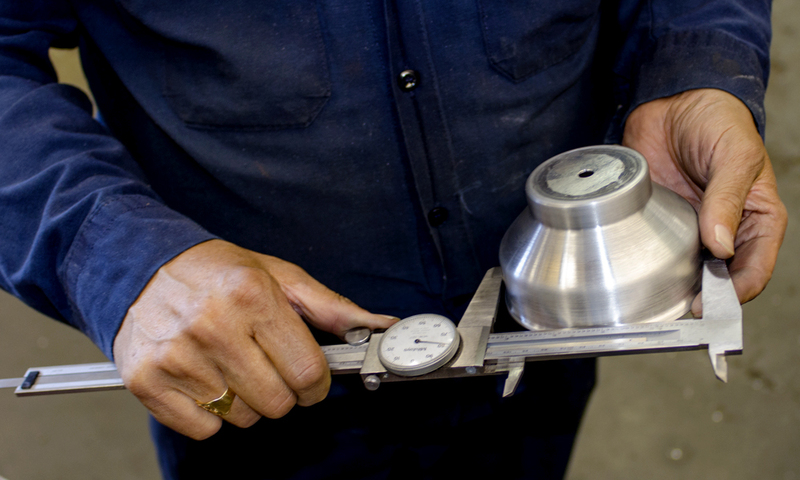 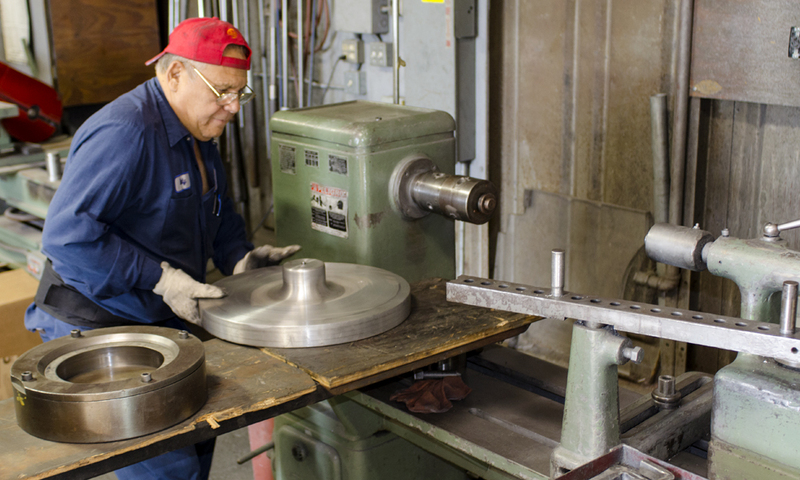 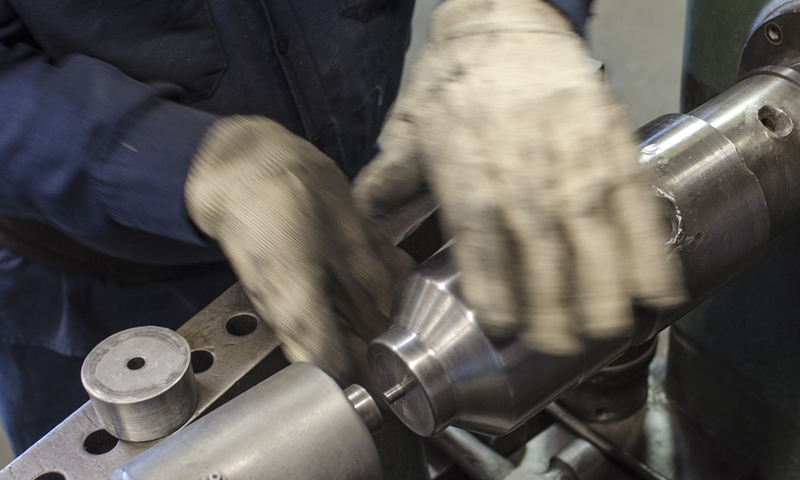 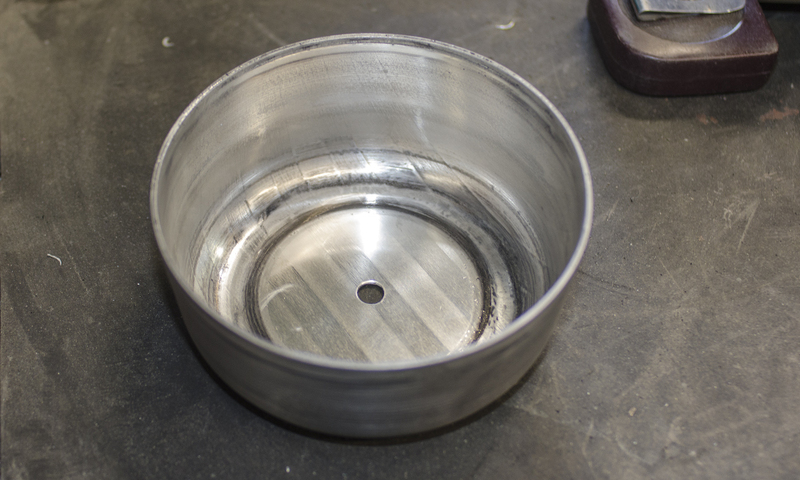 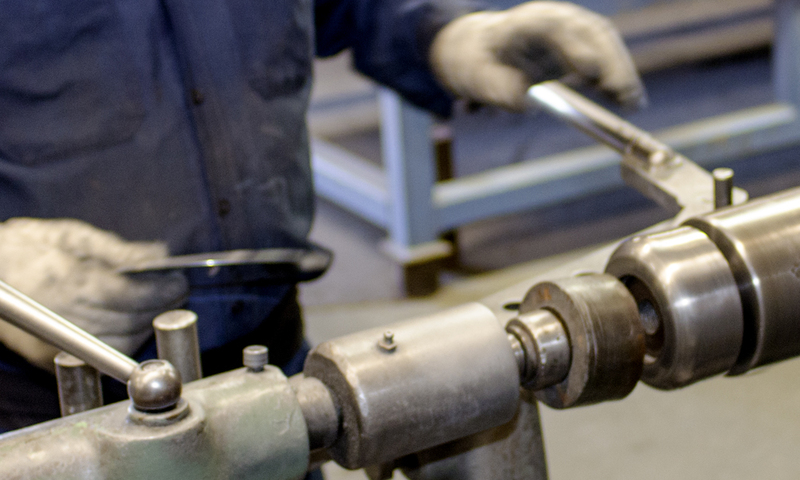 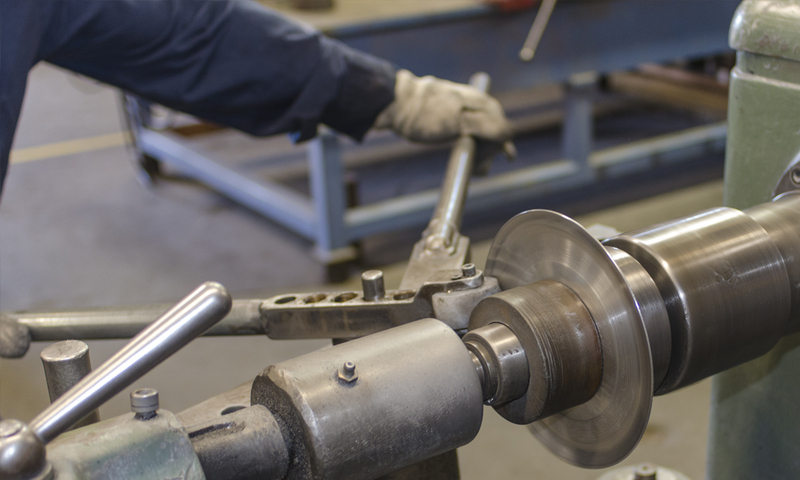 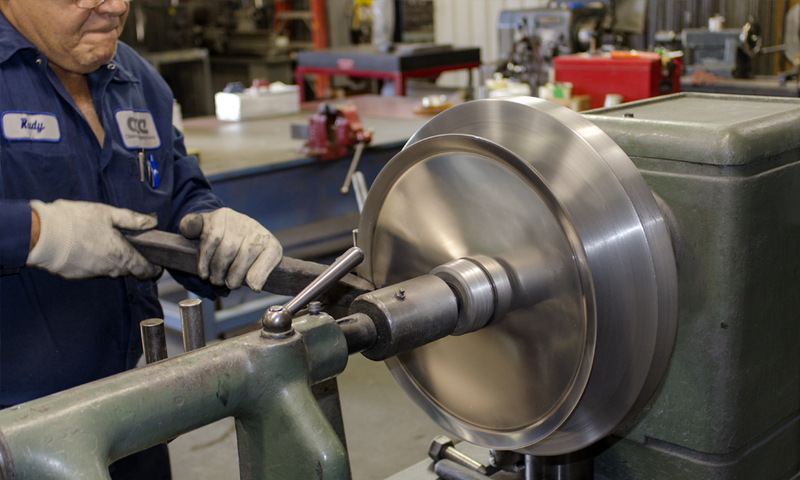 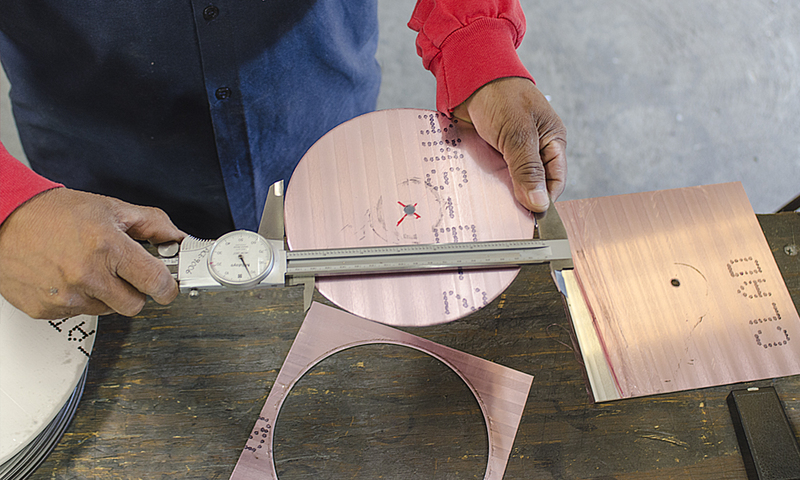 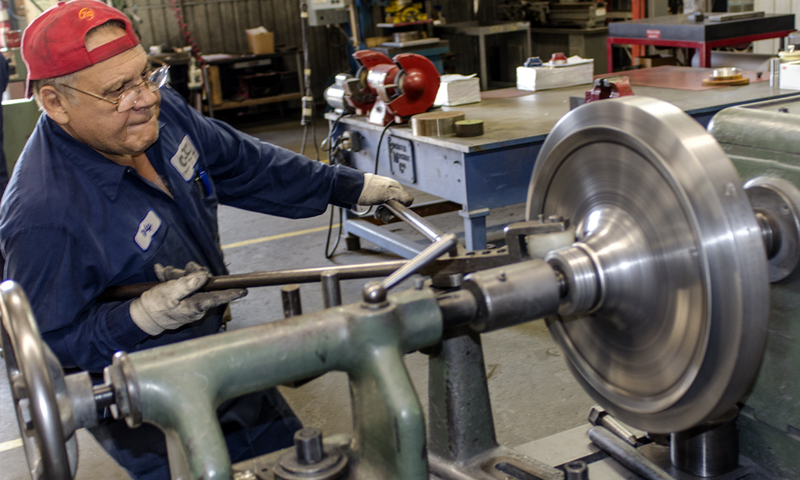 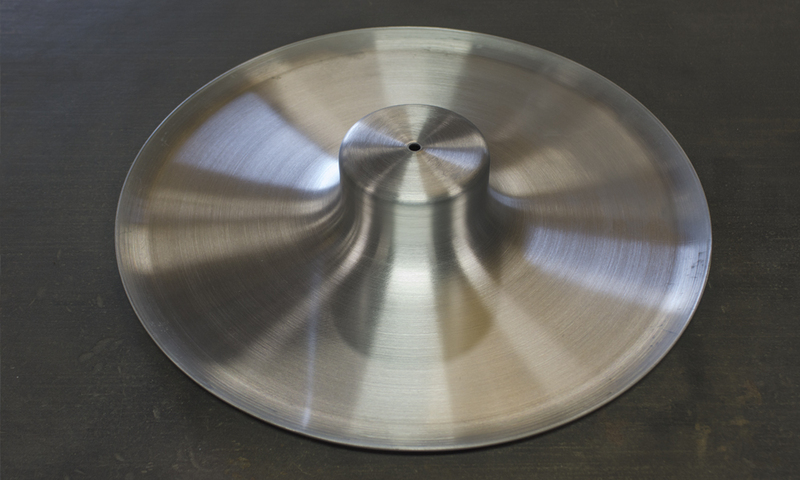 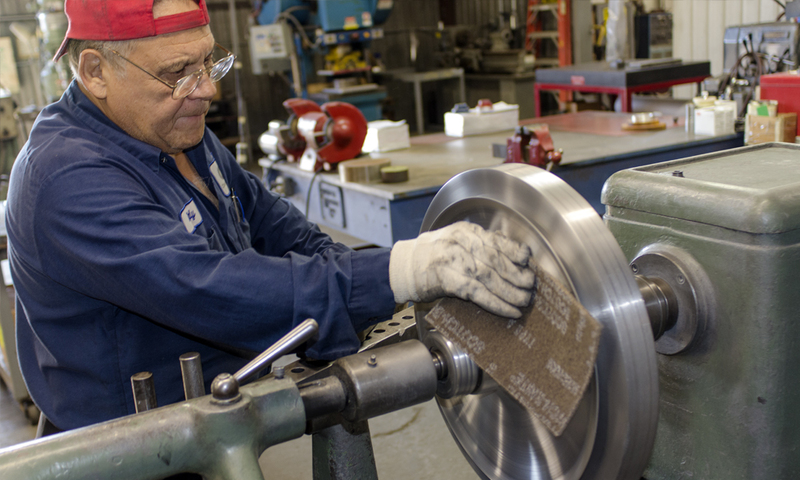 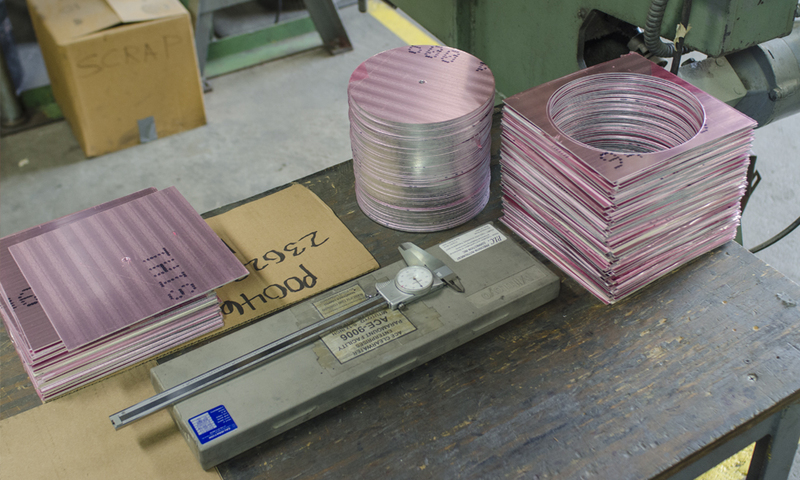 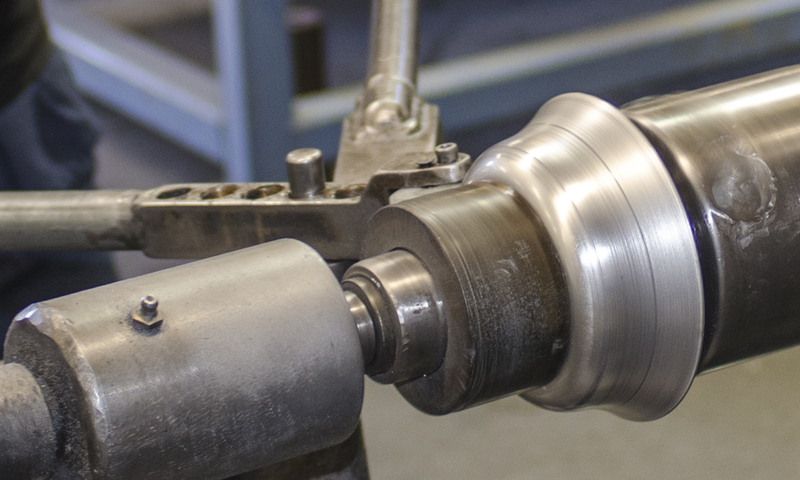 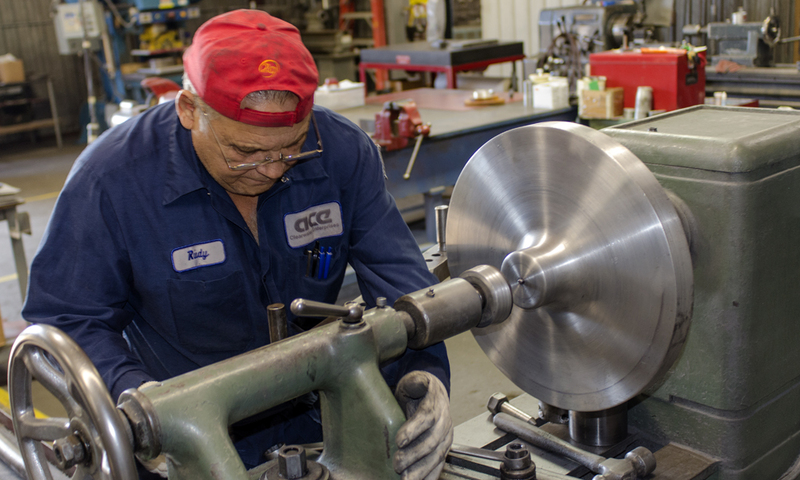 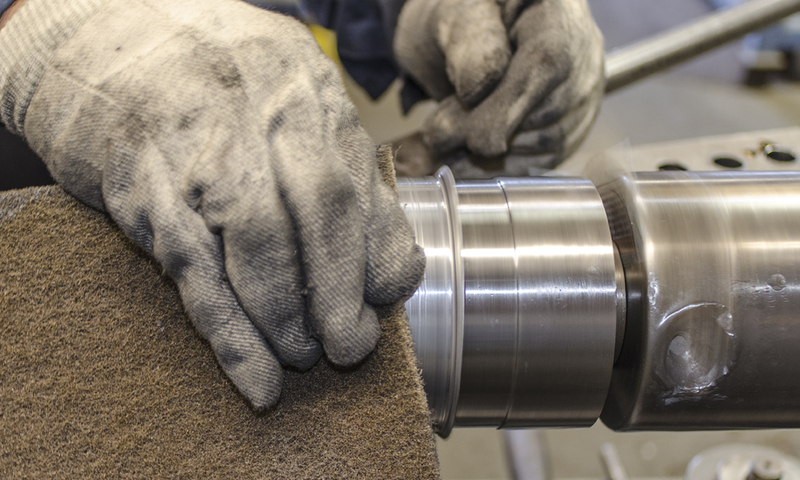 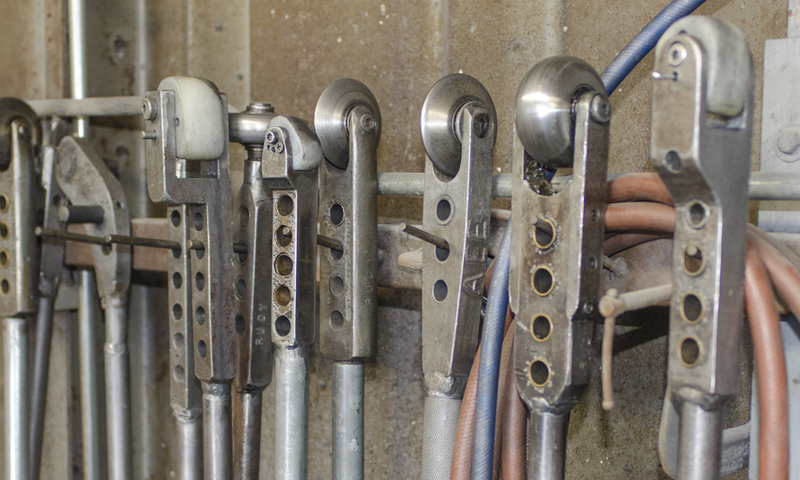 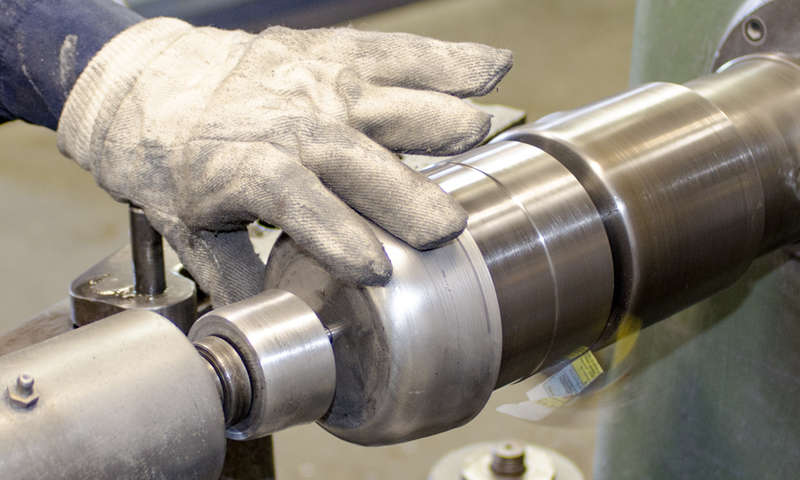 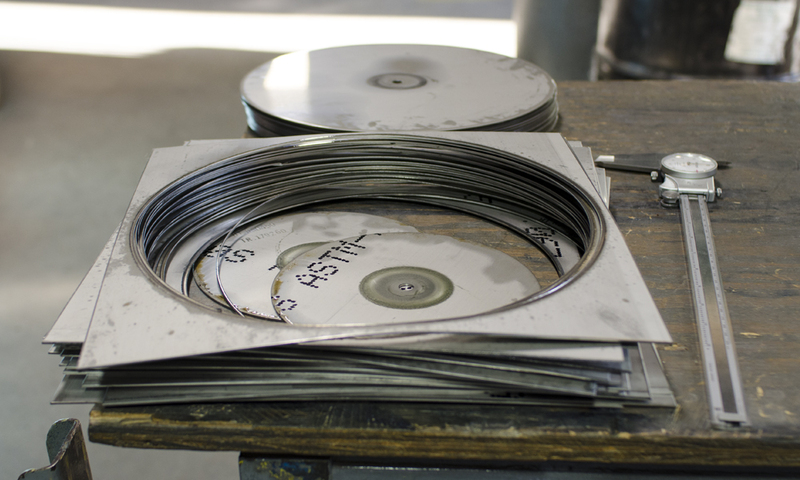 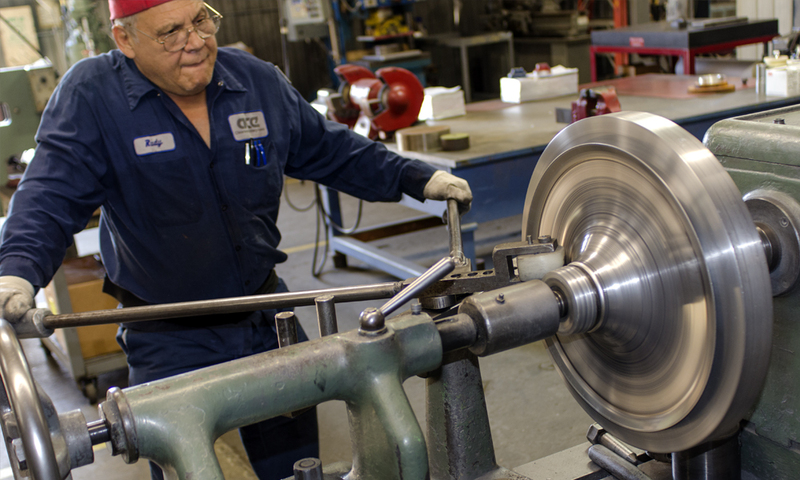 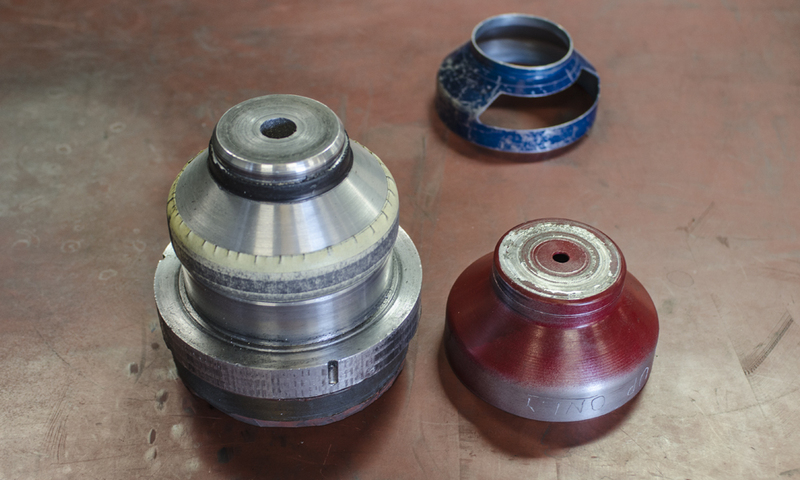 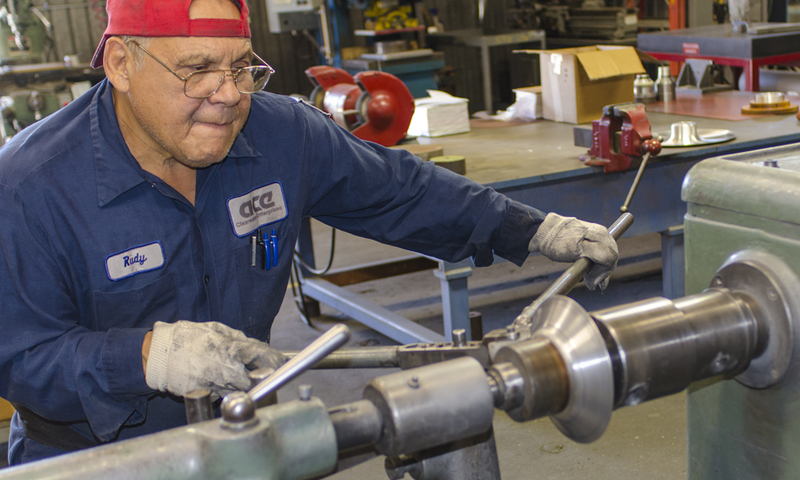 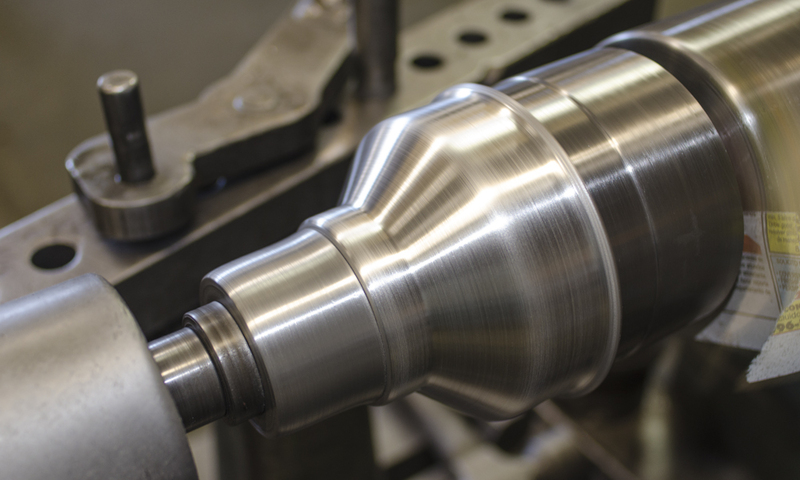 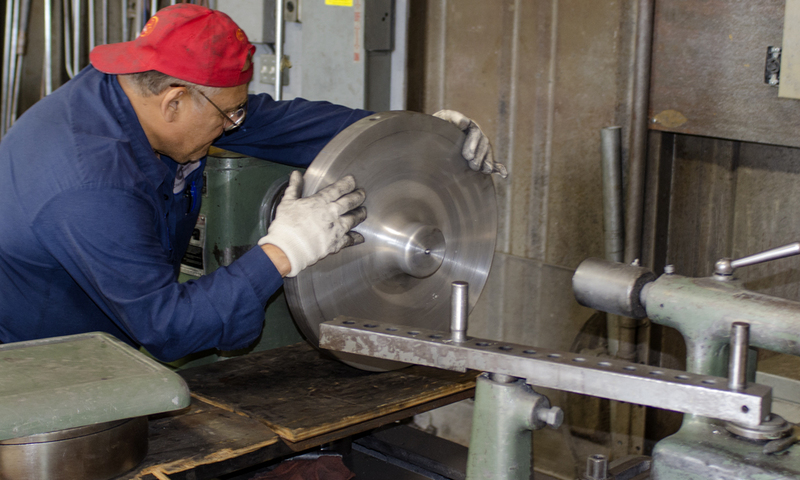 Spinning tools can be made of hardened steel for shaping aluminum, or solid brass for spinning stainless steel. 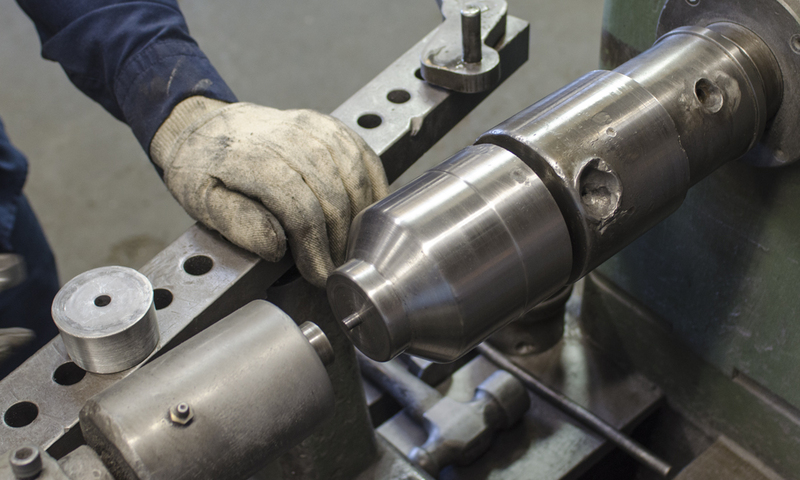 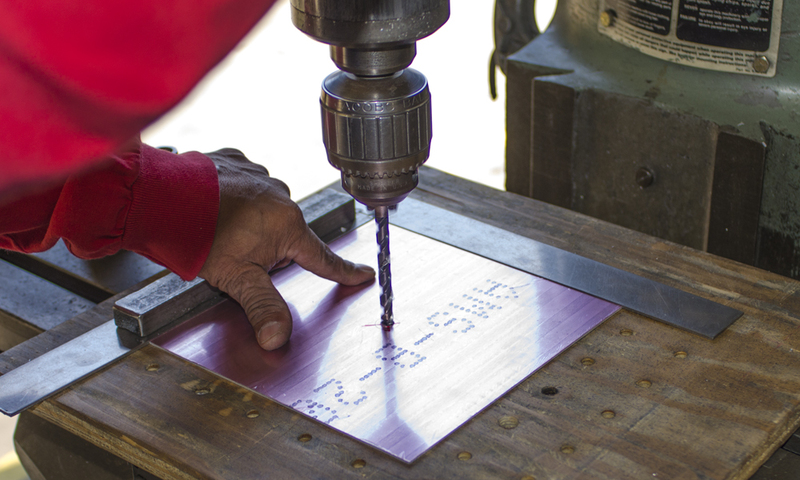 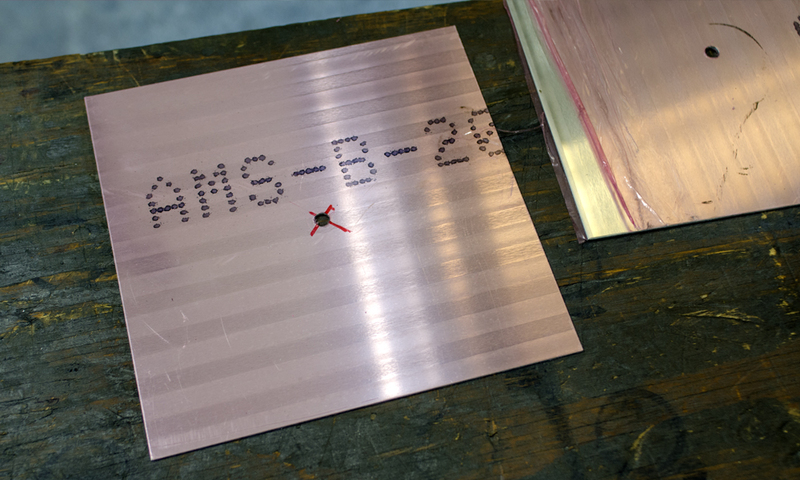 Workpieces are simply removed from the block when finished, but more complex shapes may require a multi-piece block.